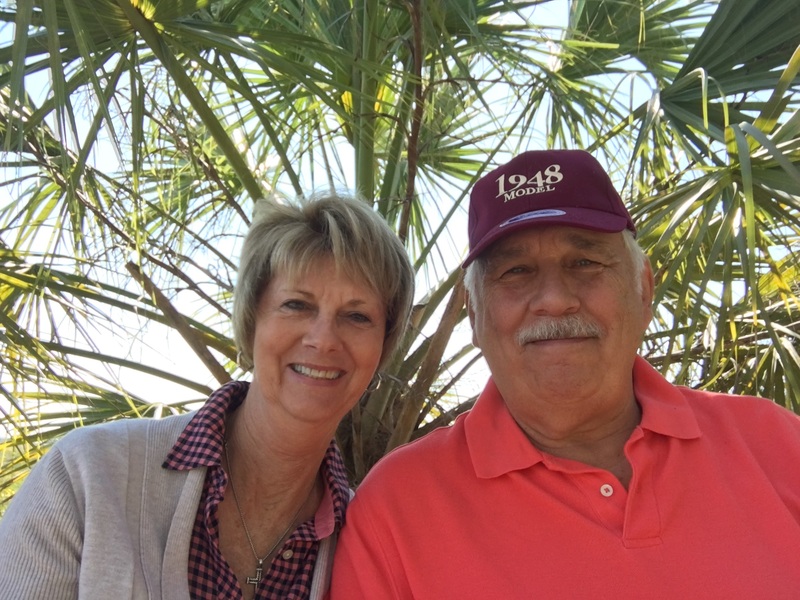 Hofwyl-Broadfield Plantation – Let's Go RVing! Our day started out at in Brunswick at the Hofwyl-Broadfield Plantation, a former rice plantation. Our visit began with a short video and then a self-guided tour of the grounds. 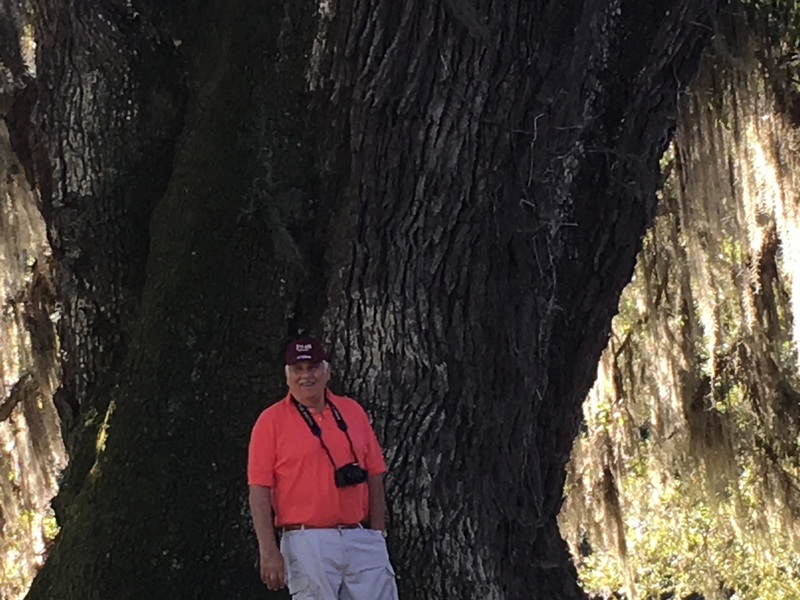 There were huge live oaks everywhere, one 800 years old! Of course they all had the ubiquitous moss hanging from them which created an even lovelier scene. There was a car show going on but we just strolled by on our way to the house. Interestingly enough the house is filled with the original furniture. The last owner of the house, Ophelia was unmarried and there were no relatives so the entire grounds were donated to the state of Georgia. We wandered around the grounds going in and out of the various buildings. The rice crops were definitely made on the back of the slaves! It is absolutely mind blowing to think of the hard labor the slaves endured. Death was always eminent as the risk from disease was very prevalent. We also walked along a path to the rice mill ruins. Boy, when they say ruins they mean ruins. Nothing was standing. We proceeded on to the observatory where one could look out over the fields that once were filled with rice. Our next stop was the Golden Isles Visitor’s Center. That is one busy place! Cars going in and out at a rapid pace. We saw a couple of cars with North Carolina tags but never talked with anyone. We ate our picnic lunch in the picnic area. There were hundreds of nosy birds flying around. I guess over time people have fed them and they are waiting for it now! We headed on to Brunswick looking for the 900 year old year. As we rode along the main streets of the little town we were astonished to see how much reconstruction was taking place. It was everywhere! We later learned that they are building a movie set for a movie starring Ben Affleck. Darn – we were too early. We finally found the tree and a couple there from Tallahassee were there taking pictures. They took our pictures and we took theirs. His aim wasn’t very good! Our next stop was the St. Simon Lighthouse. We went in the gift store and bought the magnet and the tickets and then made our way over to the lighthouse. After going through the museum we started the climb up, up, up, 189 steps. Can’t imagine the poor lighthouse keeper making that climb carrying 3-5 gallons of kerosene for the light. I would never had made it. When we got to the top and the door was opened I nearly panicked. I had not even thought about the eventuality of walking outside. With my fear of heights I barely made it but I did go out and walked around the entire top. Wow – I “think” the view was beautiful but it was difficult to see as I was clinging to the inside wall of the lighthouse. Of course Jerry leaned on the rail and took in the lovely view. After a delightful visit with the docent who encouraged us to walk down to the square we took off down the boardwalk. Now that was nice. We ended up in the touristy section but that was OK. I saw a lovely metal crab that I would like to have bought but we kept walking – straight to the ice cream shop. I had a luscious key lime pie ice cream cone. I may gain 10 pounds while we’re gone but what the hay! We walked back to the museum and then drove to the Maritime Museum. That was very interesting as well. They had copies of letters that a coastie had written to his family that shed a great deal of light on the daily life of a coast guard guy. We were getting a bit tired by then so we headed on back to the campground. When we got back I went outside to read but it was a bit chilly so I didn’t last long. I came in and got comfortable and then Jerry went out and called me to come join him. There were probably 100 buzzards flying overhead. No idea why they were there and they didn’t stay long. I ended up visiting with our neighbors, a couple from Cummings, Ga and then we came in for dinner. An early start for tomorrow looms as we head to Bradenton.